After completing a PhD in physical activity measurement in young people at the MRC Epidemiology Unit, Kirsten’s research predominantly focused on investigating determinants of change in physical activity in children and adolescents. Kirsten has also worked within the Institute of Behavioural and Community Health and Active Living Research at San Diego State University, California. There she worked to develop the design, implementation and evaluation of a multi-component obesity intervention (Project MOVE) to improve diet and increase physical activity in children and their families. 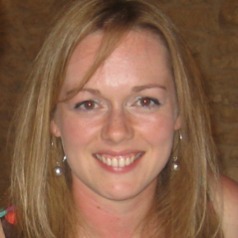 Kirsten is a senior member of the Behavioural Epidemiology Programme. Her current research focusses on examining patterns and determinants of change in physical activity in adolescence and young adulthood, directly linking this to the development, implementation and evaluation of a physical activity promotion intervention among adolescents. Kirsten led the development and preliminary evaluation of the GoActive intervention, a peer-led physical activity intervention in secondary schools. Kirsten additionally contributes to supervision of PhD students and provides regular talks at schools.